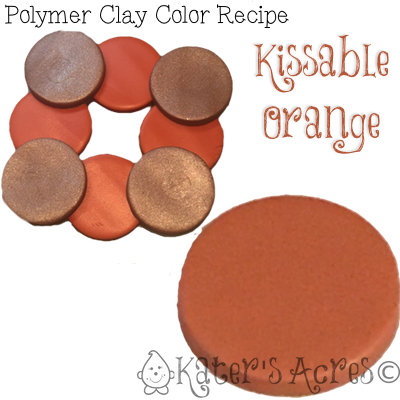 This polymer clay orange color recipe is one of 5 colors for the 2016 Valentine’s Day Color Palette, Kissable Colors. Make all 5 of these luscious colors to enjoy this Valentine’s Day. Enjoy! Add 1 additional part Premo! copper for a warmer tone that is more vibrant. Add 1/4 part Premo! Black for a deeper shade. Add 1/4 part Premo! White for a lighter & brighter tint.